Fergus Mackinnon, arrogant Laird of Achnasheen, and independent half-Italian artist Marina Lucchetti are the classic immovable object and irresistible force – or at least until they fall in love with one another and discover that it’s worth making compromises when a lifetime of happiness beckons. I had great fun writing their love story in The Laird’s Willful Lass – that combination of characters in a romance guarantees plenty of banter and fireworks! Since marrying, life for Fergus and Marina has been almost as eventful as their courtship. At their first Christmas house party, they assisted in matching up the featured couple in The Laird’s Christmas Kiss. Now they’re entangled in the danger and drama of helping Diarmid Mactavish and widowed Fiona Grant, the hero and heroine of The Highlander’s Lost Lady, to retrieve Fiona’s kidnapped daughter. Fergus writes this letter to Marina while he’s in Edinburgh, seeking a legal solution to Fiona’s dilemma. Marina has stayed at home with their newborn daughter Eilidh and is missing her beloved laird. By the way, The Highlander’s Lost Lady, Book 3 in my Lairds Most Likely series, is out in April 2019. Check out Marina and Fergus's love story in The Laird's Willful Lass. 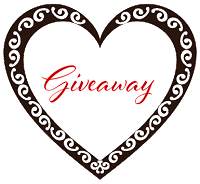 Special thanks to Anna Campbell for sponsoring this giveaway. I love reading Anna's books!! I loved this story Anna! The letters are so sweet and melt the heart. Your stores are amazing!! Lori, how lovely! Thank you! Can't wait to read this love your hooks. This sounds so fun! Thanks! Thanks, Sue. I love books full of banter! I’d love to read one of Anna’s books!! Gaby, this may be your chance! Anna Campbell is a must-read author for me. Ack, sorry, Cheryl! That's thanks, CHERYL! Already read The Laird's Christmas Kiss and enjoyed it very much. Looking forward to reading this one too! Have been a fan of Anna Campbell for years now. Dee, how lovely. Thanks for picking up TLCK. Lilah, do you follow me on Facebook? https://www.facebook.com/annacampbell.writer I put up photos of my travels and I'm heading to the Highlands in April. I've been quite often. I love it there. It's amazingly beautiful - a lot of it quite wild and empty. I particularly love the islands which have some beautiful beaches. I love a good Scottish romance. Anna , you know I love your books and the next installment to the series promises to be exceptional as always! Thanks for the chance to obtain a copy of The Lairds Willful Lass! Thanks, Cyndi! I'm just editing the latest addition to the series as we speak. Very dramatic! Sounds so good. Thanks for the chance!! An Italian heroine in a Scottish romance sounds refreshing. I look forward to beginning this series. Thanks so much. She was a fun heroine to write. I love the letters. 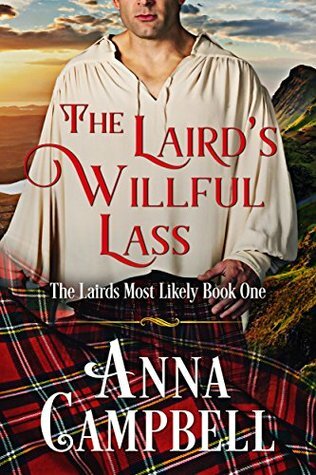 And imagining a willful Italian and Scottish highlander definitely has me wanting to read asp The Laird's Willful Lass. Love your Highlanders. Thanks, Carol! They were a really fun couple to write because they were both so stubbornly sure the other person was wrong for them. the letters are great and enjoy your books. I love these letters, Anne! Love your books too! 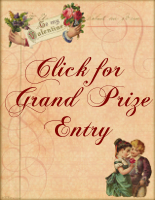 Thanks for continuing to participate in the RFTC events and thanks for the chance to win! Glenda, I love Dani's events. She puts so much imagination into them. Thanks for the kind words about the books! This would be a new to me author but I love historical romance and this sounds like my kind of story!! Thanks for checking out the letters, Dee! Sounds like a great book I adore the cover. Oh, me, too, Carole! I don't think emails have quite the same impact. Thanks for the kind words about the books. Great letters. This series sounds intriguing. Can't wait to read it. Thank you, Joanne. Glad you enjoyed the letters. Kat, you're lovely! Thank you! Kat, you're so lovely! Thank you! I really like your books. I’m not used to read about lairds, so I’m going to give it a try!!!!! Maria, I hear they're quite addictive! You'll hunt Scottish books the way I'm hunting Venetian pastries! OK, guys, this draw is now closed! Thanks to everyone who entered. Dani's going to do a big prize announcement in a day or so so hang tight to hear the winners. Good luck! And thanks to Dani for running this fabulous event. I'll see you all next year for Valentine's Day!